What is a packathon? A Packathon is a food packing event in which participants produce thousands of nutritious meals that will be distributed through Feed the Hunger partners to children and families in need, both in America and internationally. 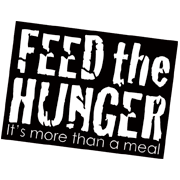 Join us on Saturday, October 20 as we pack 20,000 meals for those around the world who do not have enough food. The event will begin at 9:30 a.m., although if you would be willing to help with set-up, please come around 8 a.m. We look forward to ministering with you!